Repix – A photo-editor lets your photos to be turned into masterpieces and has gained its popularity and over 15 million people are using this app. And for your success, MAADI (Mobile Application Development India) is all set to replicate this concept of photo-editor. 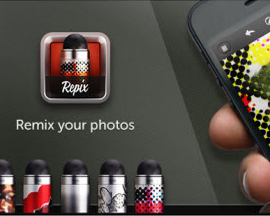 We offer customized and affordable clone app development for repix clones. More than this, we also customize the app as per your specification and ensure for better ROI. The clone app may help you to stand next to the likes of PicShop Pro and Pixlr Express and offers more animated, artistic-feel to the photo editing that goes beyond the imagination. Having incurred with a number of mobile applications, MAADI has made its place in the online market rapidly. Our clone app designers have ample experience of creating UI and UX for cloning your mobile app and customizing it as per requirements with precision. Regardless of what your application demands, we are all way with you to understand your needs and give you a desired output. What is the timespan required to develop Repix clone? Having been one of the best photo app development company, we at MAADI develop the application giving the best of user experience. We have developed the apps that already gone a way through million of the phones. And when comes to clone the app, we definitely make it better than Repix - more than your clone app - brand for your own. What is the timeline and Budget for this project? Generally to interpret the timeline and budget for any application, it needs a brief analysis, scoping and documentation. Whilst you specified your requirements for similar app for Repix, but still remains the key features that separates an application from the other. Accordingly, we develop the app and after the discussion, we will be able to define the timeline and cost for the application. You just sit back and relax, for any budget constraints, we are glad to have foremost MVP in the market without justifying the work quality. The clone app gets you with different options like pre-designed effects, image adjustments, brushes, frames and crops. The effects range from classic black and white to more colorful or atmospheric effects. More than this, you can also add unique effects packages for in-app purchase. It may also include settings like brightness, contrast, color, vignette, etc. and has common features like cropping and framing.